Picture a grayscale web—like black and white television of the mid-twentieth century. It’s hard to imagine, but there was once a time when computer displays only rendered in one color. Sure, computers were usable, but they were also incredibly binary. Today, everything competes for our attention. Whether you’re buying a new car or deciding who to vote on in the next election, a skillful use of color can inform both logic and emotions. On the emotional side, color can affect whether or not you decide to make a purchase. Whereas on the logical side, color can help you know which meeting rooms are occupied or available. The NBA finals are upon us, and that means basketball’s greatest current player is center stage. Whether LeBron will ever be the GOAT is up for debate, but when it comes to scoring, well, we have data. Earlier this season, LeBron became one of the top 10 scorers in NBA history. 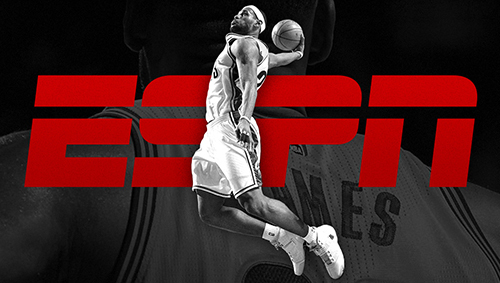 To recognize—and help fans analyze—this achievement, ESPN worked with a lean team at Viget to create an interactive experience exactly 38,991 pixels tall, one pixel for each point LeBron is predicted to score during his career. Join this webinar and get the inside story from the makers themselves.